Upper Mustang to Upper Dolpo is high elevation trekking route with multiple 5000m high passes across the hidden valleys and mountains. 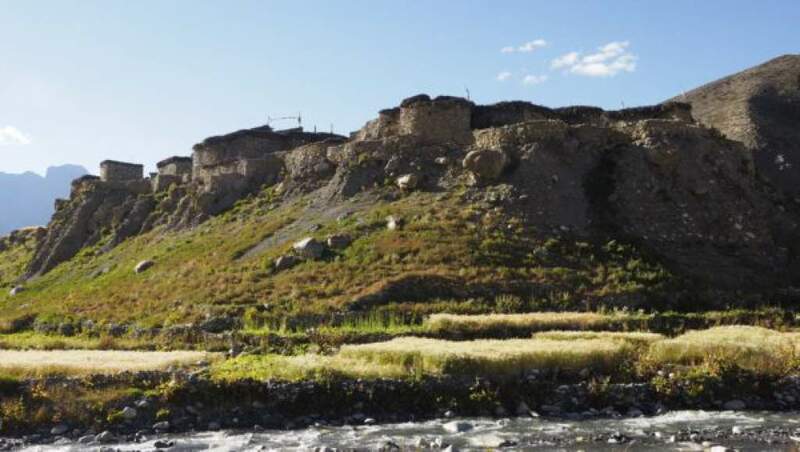 The typical remote lifestyle of people, their well-preserved unique Tibet-influenced tradition and Buddhism practices revolved around the dry arid landscapes surrounded by Himalayan massifs and centuries-old Buddhist monasteries. 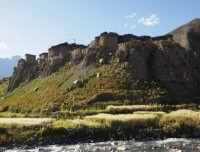 Trekking from Upper Mustang to Upper Dolpo is wonderful chance to understand the little mystery of Nepal and Nepalese people who have been living their life in the varied environment on their own socio-economic structure and cultural perspective. 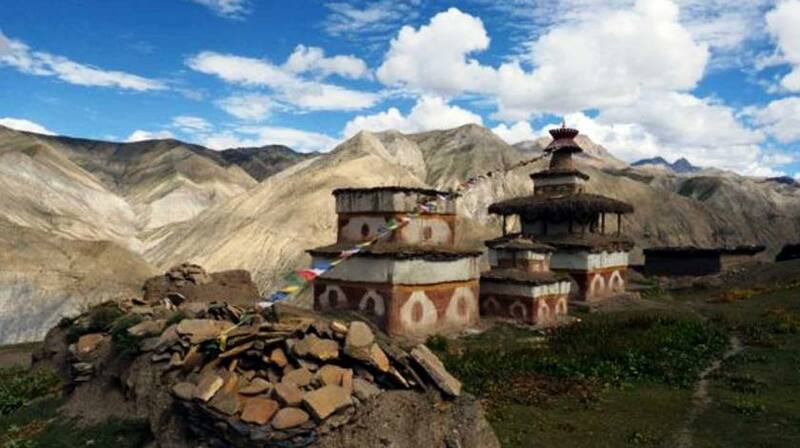 Mustang to Dolpo Experience is truly a lifetime experience for any adventure lover and culture hunter. Mustang to Dolpo trekking begins with flight from Pokhara to Jomsom and walk through beautiful villages reaching Sky Caves of Lo-Manthang and retrace to Ghami village to cross Ghami Bhanjyang and enter small settlements of Dolpo, then visit Crystal Monastery at Shey Gompa and continue through Shey Phoksundo Lake towards ending point at Juphal to catch a flight to Nepalgunj.